While it took 14 years for Honda 2Wheelers India to achieve the one million export milestone, the two million mark was achieved in just three, witnessing a three-times faster growth. Honda 2Wheeler India is one of the fastest growing manufacturers in the country and the company has achieved a new milestone with its exports crossing the two million mark. The company's massive growth in exports emerges from the popularity of scooters with the Honda Dio being the most exported scooter from India. The Honda Navi moto-scooter too is gaining popularity in the international market, the company said in a statement. The Japanese two-wheeler giant commenced exports from India in its debut year of 2001 with the Activa scooter and now ships a range of motorcycles and scooters from the domestic facilities. Celebrating this achievement, Honda Motorcycle and Scooter India (HMSI) - Senior VP - Sales and Marketing, Yadvinder Singh Guleria said, "With an eye on the 2020, Honda 2Wheelers India's ambition is to 'Lead in India and the World with Quantity and Quality'. Backed by strong domestic sales, India is already the No. 1 contributor to Honda's global two-wheeler sales. On the exports front, our tri-fold strategy of introducing new models, entering new markets while consolidating in existing markets has resulted in achieving 2 million export milestone. We thank our customers and business partners across the globe for their trust in Honda 2wheelers made in India. The future is exciting as the BS-VI norms effective in 2020 will unlock new markets for us." Honda cumulative two-wheeler exports though have seen a three-fold increase in recent years. The company first hit the one million mark 14 years after beginning export operations, while the two million mark took just three years to achieve. The company exports to 28 markets from India including Asia-Oceania, Latin America, the Middle East and Europe. A total of 16 models are exported from the country overseas with Latin America and SAARC countries leading the export demand. Over 60 per cent of Honda's exports comprise scooters with the company being India's number one scooter exporter with a 63 per cent market share. 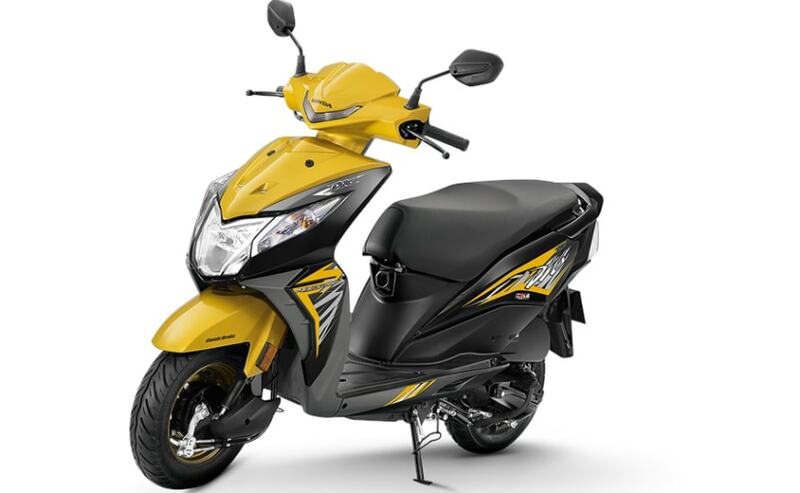 In fact, the manufacturer says that ever second scooter exported from the country is a 'Honda Dio'. Motorcycle exports, meanwhile continue to grow double-digit and contribute over 50 per cent to Honda's total exports from India. With the BS6 norms coming up, Honda is optimistic that the upgraded motorcycles made-in-India unlock new markets for the company.